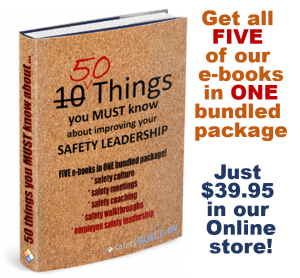 Leadership in a safety culture must be built on mutual respect. 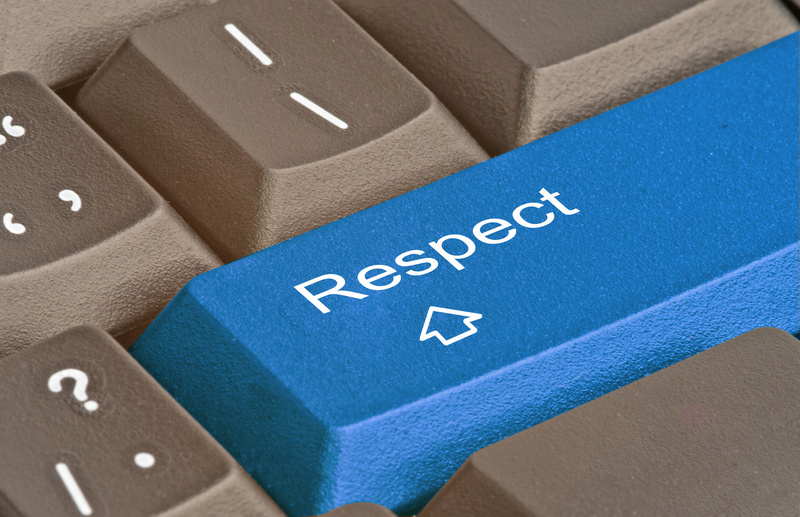 True respect comes from the way people behave, not from titles, positions, degrees, safety officer training, or other symbols of status. Demonstrating respect for others means behaving toward them in a way that assumes they have value–that differences stem from legitimate motives, and that people’s intentions are typically responsible. Unless they have clearly demonstrated otherwise, all people deserve that level of respect. When differences are respected as legitimate, they can be an energizing force for the organization, as well as a source of innovation and flexibility. Lack of respect for differences can destroy an organization through mistrust and misunderstanding, or outright hostility. The key to getting the most from differences lies in assuming that differences stem from legitimate motives, and taking the time to communicate them. People do not come to work intending to be unsafe. Most people want and intend to behave responsibly and competently. When we respect that, and behave accordingly, we are likely to get responsible, competent behavior from others. Too often, our behavior signals a lack of respect for intentions. For example, when we set up overly-restrictive safety processes, we may signal an expectation that people will not behave responsibly without them. When we give overly-detailed instructions for ordinary tasks, at, say, a toolbox meeting, we may signal an expectation that people will otherwise make a mess of things. Demonstrating respect for others goes a long way toward earning it for yourself. Beyond that, maintaining and building respect for yourself means behaving with fairness, integrity, and forthrightness. We earn respect, for example, when people can see that we are trying to act fairly in our dealings with them, when we have the courage of our convictions, and when we deal directly with problems and issues rather than sweeping them under the rug. The phrase “you have to be strong to be respected” does not refer to physical strength, nor even unusual strength of character. It means being willing to take action, to accept some risk, and to behave as if you can make a difference. As leaders in a safety culture, we must be conscientious behavioral models. People will most want to model the behavior of those they see having integrity and those who have earned their respect. Below is a set of practices that characterizes individuals and groups who typically earn the respect of others. How do you stack up? Always remember that respect cannot be demanded, it must be earned, and it is not something just to be received, but something we must be willing to give others. If you are looking to change behaviors as part of creating a culture of safety, building mutually respectful relationships is critical. 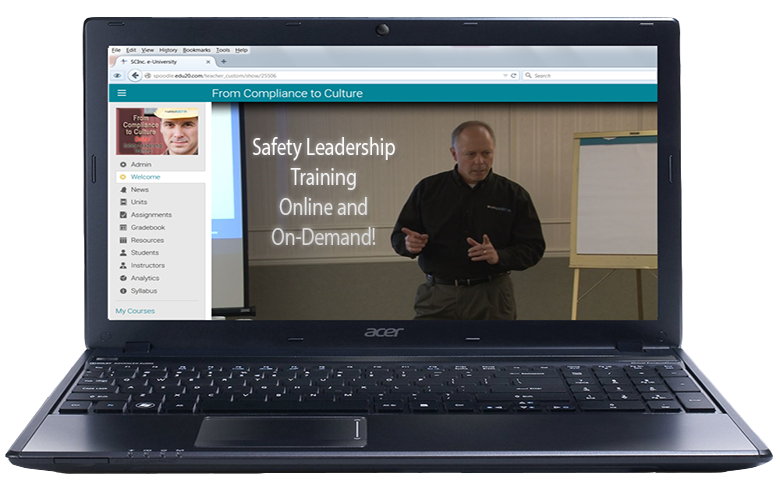 safetyBUILT-IN is the safety-leadership learning and development division of SCInc. We believe sustainable safety performance is best achieved through a core-values based safety culture, and that culture must be driven by leadership. Our safety-leadership programs are competency-based, and focused on performance outcomes. We believe in building capability and ownership into our client organizations—as well as sustainability into our programs—so that our clients can continue running those programs long after we’re out of the picture. Our emphasis is on building better leadership presence, better leadership communication and better leadership coaching by first building relationships of trust with people and learning how to engage them on the level of their core values and beliefs.